Only a few things are more difficult for a company than ensuring customer satisfaction for all the customers. Though you might have ensured to impart the most appropriate customer service skills in your customer service staff, the unfortunate fact is that not all the customers can be satisfied. Those customers who are not satisfied with your company's products or customer service may utter those three words you detest to hear. "Chose you wrongly" are the three words you may never want to hear from a customer. The question now is - What should you do or what steps should you take to avoid hearing these words from a customer? Let us find out. 1. Your customer service is the basis using which customers evaluate your company. 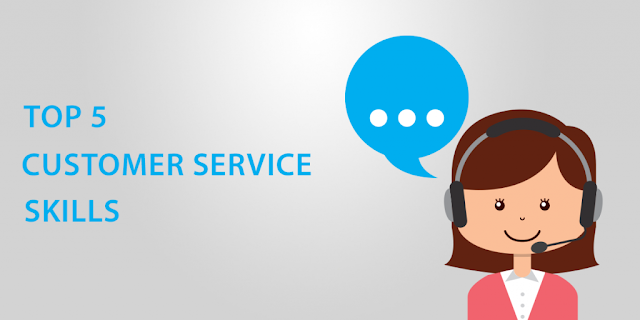 How your customer service employees respond to the calls or emails of your customers, how quickly they provide the answers to their queries, and how quickly they provide the solutions to the issues faced by customers are the criteria customers look into while evaluating your company. This means that your team members should have a good presence of mind and quick reflexes for responding to the calls made by the customers. Of course, you might have imparted the required customer service skills in your customer service team. You may have put in place a support software as well for helping these employees. But will these steps suffice? The answer is unfortunately in the negative. Despite all these efforts, some of the customers may be dissatisfied with your customer service. How should you react to such a situation? What is the foremost step you must take? Do not take the reactions of your customers personally. Customers may have their own reasons for getting frustrated. They may not have got the right products, the products may not be of the quality or design they originally wanted, and the service they get may not be satisfactory. But whatever may be the reasons for their frustration or anger, you need not take them as personal attacks. In fact, they have nothing against you personally. Their grievance is against the company or the customer service systems of the company. Instead of viewing their anger as a personal attack, you, as the owner of the company, and your customer service manager should find out ways to set things right. It is true that their anger or the words they use may sting. But you are different from your company. In fact, according to Company Law, a company is a legal entity. You have to grasp this point and be clear about it. Only then, you will be able to view things in the right perspective so you can come out with the most appropriate solutions that suit your company and that can perfectly solve the issues. What are the next steps you must take? 1. Resolve the problems your customers face. You must ensure that they feel happy and satisfied with your solutions. Of course, if you cannot resolve their issues, you must not hesitate to admit it. Admitting your inability is one of the foremost customer service skills or habits you and your customer service team should acquire. If you feel it is necessary, you must be ready to compensate for the damages these customers suffered as well. This will help you in parting ways without any bitter feelings. 2. Very importantly, you must put in place appropriate processes and systems so such issues do not recur in future. A few experts advise that you must make it known to your existing customers through emails or through ads that you have put in place suitable systems for resolving the issues that used to haunt your customer service. This strategy will help in strengthening your image in your field. When your potential customers come to know of your frank admission and how you have resolved the issues, they are certain to be impressed. This may inspire them to become your real customers. To charge or not to charge. When you try to rectify things or resolve the issues faced by customers, you may incur some amount of expenditure. If the issues that have cropped are because of the mistakes committed by the customers themselves, you may have a doubt whether you should charge them the cost or not. Of course, as a gesture of goodwill and with a view to gain their loyalty, you can waive the charges. Even if you decide to charge, you can find out a win-win solution by offering a generous discount on the charges. If you adopt this strategy, customers will have no reason to grumble about. Do not take the garb of a detective. There are companies that act as detectives and start investigating to find out if the issues faced by the customers are due to their mistakes or the mistakes of the companies themselves. They will try to ask the customers a number of probing questions. Customers will not like this approach. Of course, you might have trained your customer service team and imparted in them the right type of customer service skills to ask relevant questions that may get them the details of the issues faced by customers. But this is for serving the customers in the right manner and not for putting the blame on them. In a nutshell, since you hate to hear the words "chose you wrongly,"
you must fix your customer service processes. This is an ongoing exercise. You must keep imparting updated customer service skills in your customer staff. As far as the support software is concerned, you should keep abreast of the latest developments so you can go for the most suitable one that will help you serve your customers in the best possible manner. In short, if you are always alert and keep bestowing the fullest attention on the aspect of customer service, you may never hear the words you never want to hear.